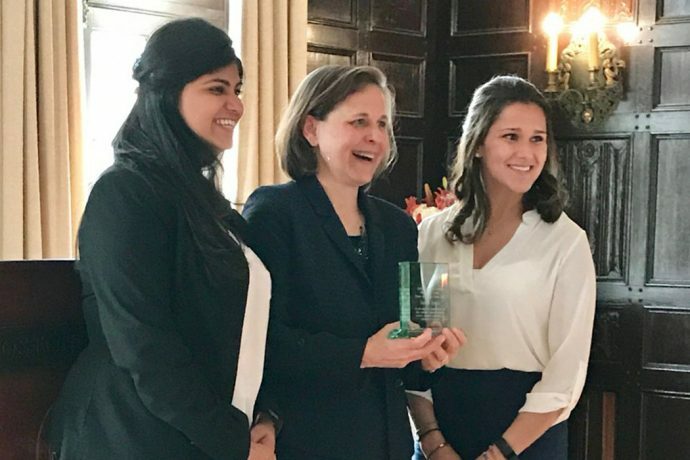 Susan M. Finegan ’91, a member of the litigation practice and chair of the Pro Bono Committee of Mintz, Levin, Cohn, Ferris, Glovsky and Popeo, PC, has been named Woman of the Year by the Women’s Law Center (WLC) at BC Law. The award honors an outstanding BC Law alumna who has made a significant contribution to the legal profession through her practice, community involvement, or scholarship in the field. Finegan was chosen for her significant pro bono work throughout the years, including her leadership of the firm’s representation, with the ACLU of Massachusetts and other co-counsel, challenging President Trump’s first immigration executive order travel ban. Past award recipients have included Judith Mizner, chief of appeals in the Federal Public Defender’s Office (2016); Mary Ann Chirba, professor of Legal Reasoning, Research, and Writing; John C. Ford, SJ, distinguished scholar, Boston College Law School (2015); Anne Goldbach, director of forensic services, Committee for Public Counsel Services (2014); Ellen Zucker, partner, Burns & Levinson (2013); Christine Griffin, executive director, Disability Law Center (2012); Lauren Stiller Rikleen, founder and president, Rikleen Institute for Strategic Leadership (2011); Hon. Lynda Connolly, former chief justice of the Massachusetts District Court (2010); and Joan Lukey, partner, Ropes & Gray (2009). 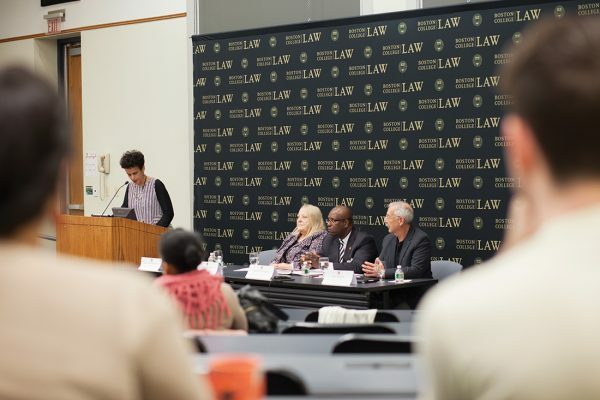 The Women’s Law Center strives to provide the Law School and BC alumni with programs and events concerning women in the law. These events are intended to facilitate conversation about women’s issues as well as highlight the achievements of prominent female lawyers in the community. For current law students, the organization aims to provide them with a network of BC alumna. For its Woman of the Year award, the WLC seeks nominations from a wide range of practice areas and practice settings, including private practice in large, small, or solo firms; government, public interest and public policy; general or in-house counsel; and academia. Are We in an Equality Recession’?